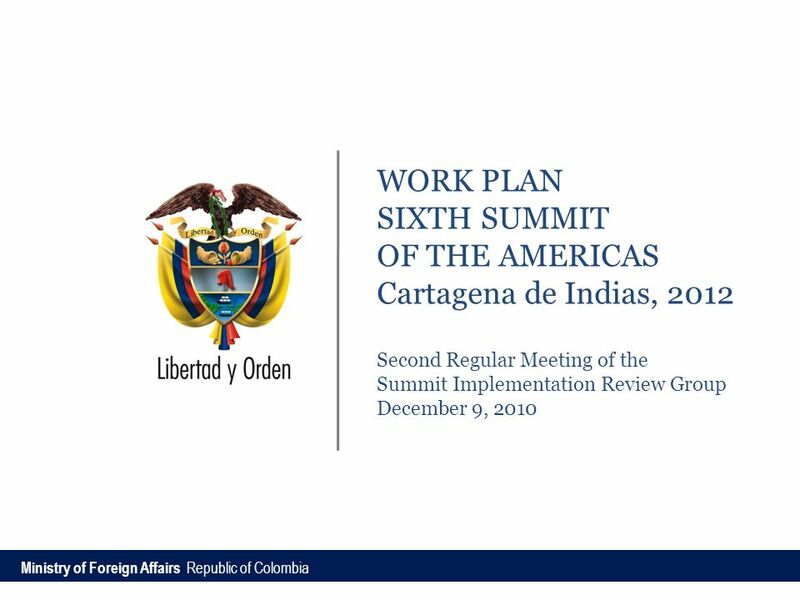 SUMMIT IMPLEMENTATION REVIEW GROUP (SIRG) OEA/Ser.E Second Regular Meeting of 2010 GRIC/O.2/doc.7/10 December 9, 2010 15 December 2010 Simón Bolívar Room. 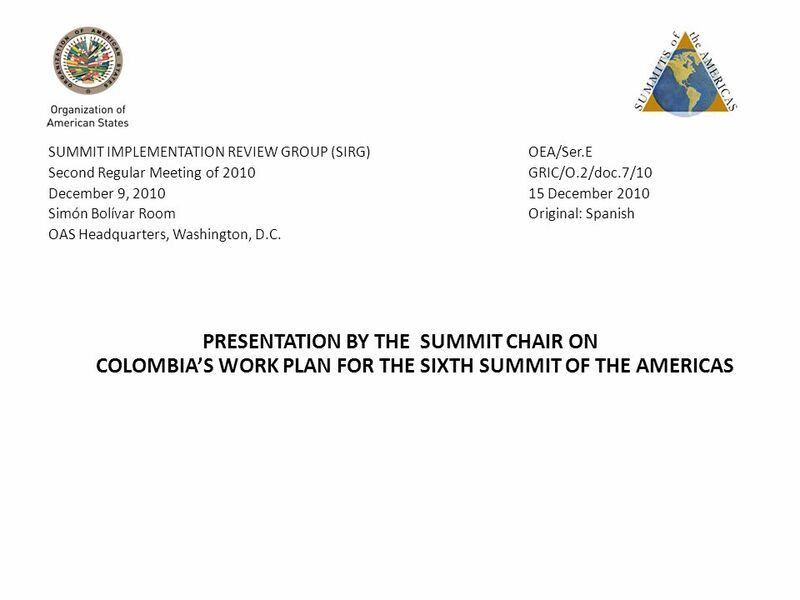 Download ppt "SUMMIT IMPLEMENTATION REVIEW GROUP (SIRG) OEA/Ser.E Second Regular Meeting of 2010 GRIC/O.2/doc.7/10 December 9, 2010 15 December 2010 Simón Bolívar Room." FUTURES The Goddesses of the Future Latin America Real Time Delphi Vancouver 2011. 1 Participation in the ResourceSync NISO Work Item Nettie Lagace NISO Associate Director for Programs March 6, 2012. 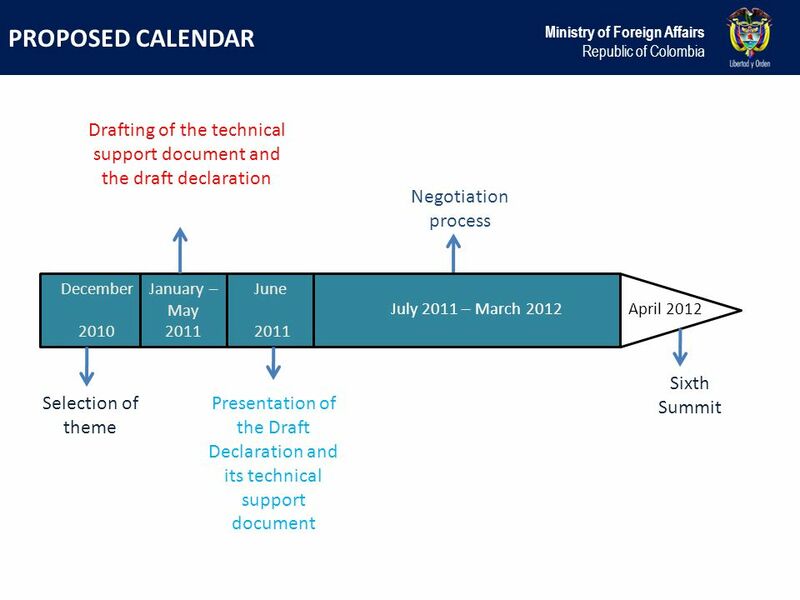 Documents for GEO & EO Summit II 1.Statement/Communiqué to be agreed by EO Summit II 2.Framework Document to be agreed by EO Summit II 3.GEO Report to. Hierarchy of Documents for Earth Observation Summit III Overview for GEO-4 April 2004 GEO Co-Chairs. INT-008-WECC-RBP-2 Mike Pfeister Salt River Project Joint Session January 10, 2013. Update on NRC Low-Level Waste Program – Major Activities Large Scale blending of LLRW -Issued guidance to agreement states for reviewing proposals for. Draft Revision of the Career and Technical Education Standard Course of Study Common Program Area Materials for Review. Neo Hungary Kft. Project: Construction of the Production Facility in ISD Dunaferr, Dunaújváros, Hungary Beginning of the construction: June 2010 Finish. LEI – Legal Entity Identifier 27 March Why a Legal Entity Identifier ? Driver: –New regulatory framework for swaps (US, Canada, Hong Kong, Australia. 3031010203 05 04 0607080910 12 11 1314151617 19 18 2021222324 26 25 2728293031 02 01 0304050607 09 08 January 2013 SundayMondayTuesdayWednesdayThursdayFridaySaturday.